Madison, Wis.-based SVA (FY13 net revenue of $50.3 million) celebrates 40 years in business. 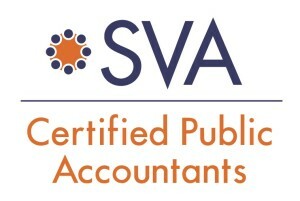 Founded in 1974, SVA began doing business in Madison, Wis., as an accounting firm. It expanded its service offerings to better serve a diversified and growing list of clients in varied industries. In addition to Madison, SVA serves clients in their Brookfield, Appleton, and Rockford, Ill., offices. In honor of the 40th year, SVA will kick off its year-long celebration with a number of special projects, starting with 12 client profiles throughout the next 12 months. Clients will discuss their businesses, their growth and how SVA helped them achieve success. Their video stories will appear on SVA websites and various social media platforms. They will also be featured in their local business publication and quoted in radio spots provided by SVA.